This trip is especially composed for people who want to visit the birthplace of Buddha. We can add it to any other program you book as well. For this, please contact us, so that we can join it to your program. Your tour starts from Kathmandu. Today you will drive to Lumbini, what will take about 8 hours. On the way you will eat lunch and after arrival explore the big park there and see the first few monasteries. commemorative pillar as a World Heritage Site. 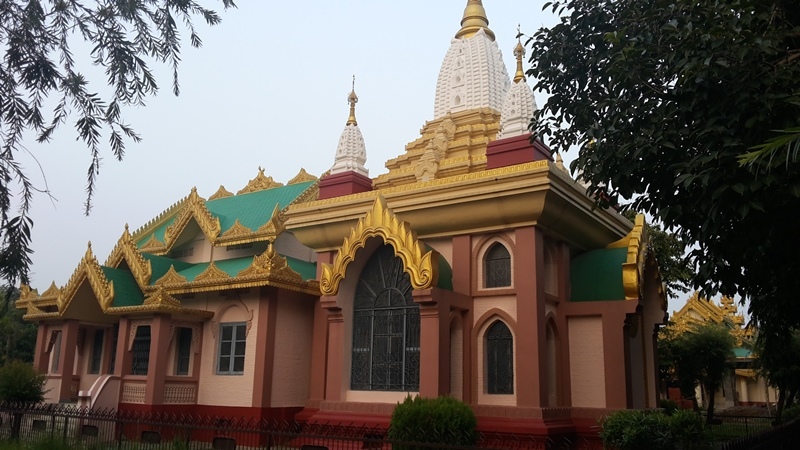 To visit Lumbini is to go the root of Buddhism. Lumbini is the fourth largest tourist destination in Nepal. Many of the places that were of importance to the Lord Buddha during his life retain a potent significance to Buddhists of today. Following the design of the Lumbini Development Zone by the Japanese architect Kenzo Tange in 1978, a building spree of sorts started in Lumbini. The 4 km by 2.5 km park, at the center of which is the revered Maya Devi Temple, is an enchanting blend of ancient temples and archaeological ruins and monasteries built by various countries in their traditional designs. Erected by Asoka The great Mauryan emperor, this 6 meter high pillar made of pink sand stone signifies the conquest of reason and compassion- tenets of Buddhism- over an emperor. The pillar contains inscription in Pali. The physical appearance of the pillars underscores the Buddhist doctrine. It is believed that the king visited this place personally and built this pillar as a tribute to Lord Buddha’s birth place. Not only did he erect the pillar but also gifted an inscription to it, which later on became the proof of his physical presence at the place. As a respect to the place, the king engraved on the pillar that Lumbini will stay a tax-free site forever and it still enjoys that respect. 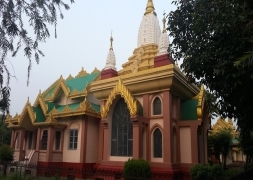 This is the most important temple in Lumbini dedicated to and named for mother of Lord Gautam Buddha. This is one of the four most sacred places in all of Buddhism, as it is a site of his birth. Excavations at the Maya Devi Temple show that it also sits above the foundations of many other temples and stupa (sacred mound like structures said to contain relics of the Buddha). Inside the Maya Devi Temple are other ancient ruins, including sandstone sculptures carved with scenes from the Buddha's birth. Next to this temple is a sacred pool where Maya Devi is said to have bathed before the birth. The newborn Buddha also reputedly had his purification bath in this pool. The pool is fed by the Ol River, and it was on the banks of the river that Further found what he called a "flawless stone" placed there by Asoka to mark the exact spot of the birth. The stone is now under the current temple, and a sacred bodhi tree grows next to the pool. Pushkarini or Holy pond where Buddha’s mother took the ritual dips prior to his birth and where he too had his first bath. Like silent witnesses to the agelessness and sanctity of this scared pond, the area nearby is covered with the foundations of brick stupas and monasteries, the oldest belonging to the 2nd century BC and the latest to the 9th century AD. Today your guide will bring you to the aiport for your departure. If you booked another trip as well he will bring you to your next hotel/location. Personal expenses such as: laundry, telephone calls, snacks, beverages, etc.